Opened in June 1940 as Wisconsin's first drive-in movie theater. It was originally called, simply, the Drive-In. 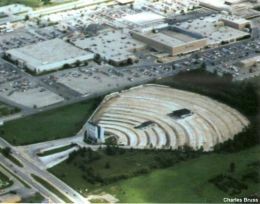 It closed in September 1981 and was demolished to make way for retail stores and a restaurant. This movie theater is near Elm Grove, Brookfield, Wauwatosa, Milwaukee, New Berlin, West Allis, W Milwaukee, West Milwaukee, Butler, Waukesha, Vernon.